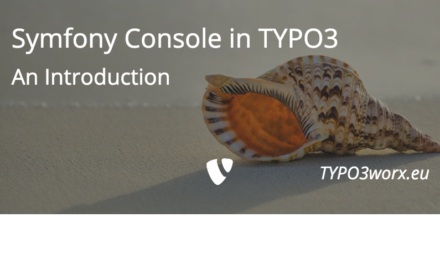 From time to time there might the requirement that a feature or a bugfix should be available prior to an official release or should be backported to a legacy version of TYPO3. If you are still not using composer, after reading this post, you might really consider doing so. But now, let’s see how it works. There are a few steps required to patch a composer package of your project. The first step is to require the module “composer-patches” written and maintained by Cameron Eagans (@cweagans). This command updates your composer.json and .lock and downloads the necessary packages to patch later on. In the second step you need to provide the patches. The patches can come with your projects code in a separate directory or you an link an external resource accessible via https (or if necessary, with http). 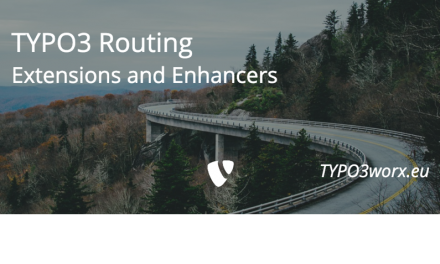 The easiest way to get an existing patch for TYPO3 is to use https://review.typo3.org. Direct your browser to the wanted review and click on “Download” on the upper right corner. Then you have several possibilities, but right now only the “Patch File” Option is interesting. Now download the zip file and unpack it. The resulting file must be placed on the folder “build/patches” from step 1. With Github the procedure is slightly different. Here you need to navigate via the web interface to the desired commit or pull request. Instead of using the plain commit hash as filename, I recommend to add a prefix for each extension. If you have many patches or just visit the folder from time to time, this makes it much easier to remember to which extension or core a patch belongs to. At this stage Bitbucket is a little bit more user friendly for existing commits … There is a link named “View raw commit”. The third step is to adjust the composer configuration, so that your patches will be installed, while running a composer install or composer update. Usually you will provide the patches within your composer.json. The patch files are listed in the extra section. "Bring RTE linkbrowser options back": "build/patches/core_19ff22c8.diff"
Here you add a json array “patches” to the extra section, which contains the list of packages to patch and a series of patches to apply. The string before the patch url should contain a description, that helps to understand the purpose of the patch. If you have too many patches and you do not want to pollute your root composer.json, there is also the possibility to outsource these definitions to an extra file. Until now you learned only about providing patches from local sources. But it is also possible to pull patches via https. Therefore you must only replace the string containing the local folder with the public url of the patch. I would be really careful about this option, especially, if you are not in control of the diff. A PR on Github, which is “work in progress” might defer over time from that want you originally wanted or expected. "Bring back linkhandler options": "build/patches/core_19ff22c8.diff"
At least source wise, this is where the error handling comes in. You need to make sure that the patches were applied successfully. If applying of a patch fails, the complete composer installor composer update should fail. This is activated with the option "composer-exit-on-patch-failure": true in the extra section of your composer.json. As you might expect, there is more than one solution which can achieve this. The other one is from netresearch (@netresearch) on https://github.com/netresearch/composer-patches-plugin. The setup and configuration seems a little bit more complicated, not only at the first glance. But the advantage of this solution is, that it can support different patches for different version of packages. So this solution would perfectly fit, if you have a meta-package with patches, you would like to apply across various TYPO3 or extension versions. I hope, that you could learn a little bit from this blog post. If so or if you know somebody, who could profit from it, please share this post via your favorite social network. For your convenience I added some share buttons at the end of this page. I found the blog post image on pixabay . It was published by real-napster under the Pixabay license. It was modified by myself using pablo on buffer. I played a bit with this feature – thx Marcus for your blog post. As I invested a lot of time now, some composer install commands results in a message Could not apply patch! Skipping. The error was: Cannot apply patch Build/Patches/DifferentLanguageFallbackThenDefaultLanguageForPages.patch without defining what’s exactly wrong. In addition I added (as you mentioned above) the line "composer-exit-on-patch-failure": true to the extra section in the composer.json and this stops the building process immediately as the patch could not be executed with a exception with exactly the same message. 2) Because I want to patch typo3/cms this package has to be set on preferred-install to "source" (I think git is needed to execute a patch and this is not possible with “dist”). BTW: I would always use “composer-exit-on-patch-failure” because I don’t want to deploy an unpatched TYPO3 (in my case) to production.